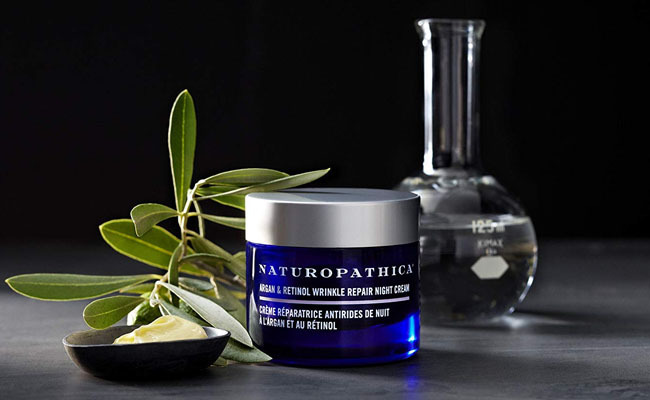 What is the Naturopathica Argan&Retinol Wrinkle Repair Night cream? Is its formula as special as they claim? What are the tips for using it? What are the final outcomes? A younger and healthier looking skin isn’t something to achieve overnight and only drinking plenty of water, eat right and do your exercise can get you that far. You also need good and efficient cosmetic products that take the skin care routine to the next levels. The more you’re willing to pay for your skin care products, the higher the chances for you to get the younger and healthy skin that you were dreaming of for quite some time now. 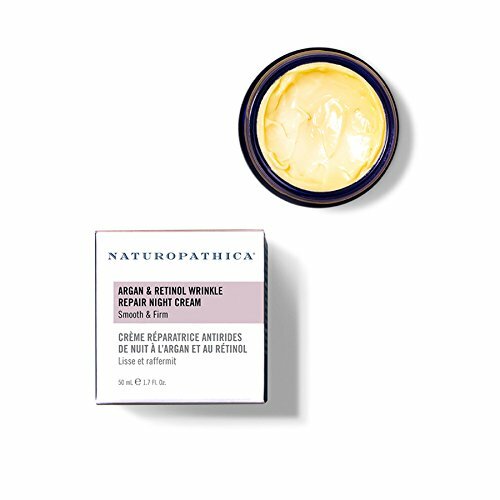 Even though its name of the Naturopathica Argan&Retinol Wrinkle Repair Night cream pretty much sums up the most significant ingredients of this night cream, it’s important to mention that the cream also moisturizes and rejuvenates the skin. Able to reduce the visibility of fine lines and wrinkles, the face cream tones and tightens your skin, without irritating it. Its formula is based on argan plant stem cells, retinol and Matrixyl® synthe’ 6® Peptide and some other ingredients that keep your skin young and toned, for a longer time. Going over the list of ingredients is going to take you a while so we’re only taking a closer look at some of them. Some of the ingredients may be familiar to you, whereas others do stand out with their benefits to skin. Lactobacillus ferment- is a natural fermenting agent that has anti-microbial abilities. It conditions the skin and nourishes it as well. Candelilla –it helps the natural emollients on the skin to stay long and creates a protective barrier for skin, while maintaining its natural moisture. Jojoba-balances the oil production in skin and moisturizes the skin. It’s a great ingredient for the acne-prone and sensitive skin. It doesn’t clog pores and protects the skin from the outer aggressors. It brings comfort in case of sunburns and sooths the cracked skin. It treats eczema and psoriasis and its nutty smell is pleasant in any cosmetic product. Rice bran-is a deep moisturizer as it’s loaded with vitamin E and fatty acids. It hydrates the skin and controls the oil production in skin. It has anti-aging abilities and keeps your skin firmer and tighter, reducing the fine lines and wrinkles. It makes your skin look younger and fresher and brightens the skin. It reduces the visibility of dark spots and smooths out the skin tone. The beta-carotene and lycopene protect the skin from the environmental aggressors, whereas the CoQ10 makes the skin look young again. Sea buckthorn oil- is a great ingredient for keeping acne at bay. It makes wrinkles less visible and brings comfort for the dry eye area. Argan-is gentle and yet efficient as a night time moisturizer. It presents high concentration of vitamin A and E and minimizes the fine lines and wrinkles. It’s anti-aging and a good exfoliator. It reduces stretch marks and fights acne too. It also brings comfort in razor burns. Bifida Ferment Lysate- brings comfort to skin and protects it from the damage of sun. It’s a reliable hydrator too. Mango seed butter- makes the skin tighter and firmer due to its high concentration of Vitamin C. It contains Vitamin C and A so it lessens the visibility of wrinkles. It gives a pretty radiance to skin and eliminates the flakiness from skin. It sooths the dry patches and the dry skin. It calms the itchiness of skin and keeps the outer aggressors under control. Neroli flower oil-refreshes the skin and regulates the oil production in skin. It reduces the pores too. Geranium leaf/flower oil-treats acne and reduces inflammation of skin. It makes the wrinkles less noticeable and tones the skin. It boosts the cell growth process without irritating the skin. Gluten free, the night cream is also animal friendly and safe for most skin types. The night cream should be part of your night daily skin care routine. You should apply it on your cleansed and dry skin. You only need a pea size amount over your face and neck. For better and easier absorption, you should use upward and outward movements. For best results, it’s wise to apply it over the serum or after the regular treatment. The night cream is easy to apply and doesn’t leave a greasy feel on skin. It comes in a pretty blue glass jar so it looks nice too. The jar is kind of heavy, which some may not like at all. Sure enough, the night cream comes for a steep price and this may hold back many. However, as it does what is says and a bit more, the night cream stands as a valid choice, especially if you’re into the natural ingredients in your skin care products. Recent reviews on Sugar & Fluff Beauty: the CLEARstem Acne Scar Removal Serum, the Tata Harper Rejuvenating Serum, the Tata Harper Regenerating Cleanser, the Tula Probiotic Skin Care Illuminating Face Serum, the Tula Probiotic Skin Care Purifying Face Cleanser Review.